Those of you old enough to remember the early 1970s—and I hasten to add that even I was at school then!—may recall that as India reeled from the 1973 oil price hike, from global inflation and the civil disobedience of the JP movement, it became common for the educated middle class to say things like, “What India needs is a dictator." 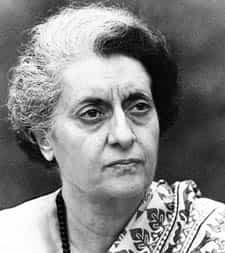 In June 1975, Indira Gandhi suspended civil liberties, locked up the Opposition, censored the press and imposed her Neanderthal son, the thug-like Sanjay, on the nation. It was clear that if young Sanjay had his way, the institutions of democracy would never be reassembled again. We’ve air-brushed the middle-class response to the declaration of Emergency out of the history books. But the truth is that people were delighted. There were no more strikes. Petty crime went down. Beggars were removed from the streets. And yes, the trains ran on time. These developments worked mainly to the middle class’ advantage but of course they were justified at elite cocktail parties in terms of benefits to the poor. “How does democracy help a hungry man?" or “India’s poor have no interest in freedom of the press" etc., etc. But, of course, the poor did need democracy. It was what kept the government’s sterilizers from dragging them out of their homes and lopping off their scrotal sacs. It was what made politicians—even Congress politicians—feel that they had a modicum of accountability towards the people of India. And it was what kept the police from locking up any poor, uninfluential person and then throwing away the key. Indira Gandhi, of course, had no idea that the poor felt this way. Nor were there any uncensored newspapers to tell her the truth. And so, in early 1977, over the objections of her son, she called a general election. In her mind, this was the perfect solution. She would get democratic endorsement for her dictatorship. We all know the rest of the story. The poor rose up against the Congress which suffered its first defeat in history and both Indira and thug-like son lost their own seats. The middle class quickly changed sides, decided that democracy was what made India great after all and embraced the new Janata regime (for two years, till Mrs Gandhi and the Neanderthal returned to power…). I mention all this history to refresh your memory because in the aftermath of the 26/11 attacks I am beginning to hear the same kind of middle-class murmurs and whines about the ineffectual nature of democracy and the need for authoritarian government. The first part of the argument is framed in terms that are non- controversial enough. India’s politicians are greedy sods, incompetent buffoons who have let the country down. But then, it gets more complicated. The real heroes of 26/11 were the men in uniform, the navy commandos, the Army, the Mumbai police and the ATS. Therefore, we should put our faith in these people not in politicians. Others simply say that democracy has failed India and that we need a strong leader. Some talk openly about a benign dictator (a commodity on par with virgin prostitutes) and some demand an abridgement of the universal franchise that, they say, has led us to this mess. Many (and I’m sure you’ve got the text messages too) demand that we refuse to cast our votes as a gesture of protest: “We should refuse to cooperate with these bloody politicians." I’m not saying that any of this is dangerous—no dictator is going to seize power because of discontent in Malabar Hill or Cuffe Parade—but it is certainly silly. Not only does it demonstrate that we have forgotten the lessons of the Emergency but it also shames the Indian middle class and shows up the cowards that are some of its most vocal members. Like small children we crave the security offered by men in uniform every time we sense danger. We lose our nerve, abandon the only real functioning democracy in the populous states of the Third World and long for a leader who will fight the terrorists in the manner of Superman. Like frightened rabbits scurrying for cover, we lose all perspective and all common sense. Contrast our responses to those from America after 9/11. The President was a dimwit, a man who had just stolen the election, and who reacted bizarrely to the news of the strikes and then took to his plane. But Americans did not abandon faith in their democracy. They came together and resolved to fight terrorism as one nation. It was the same in England after 7/7. Pressure was put on politicians and policemen and consequently there were no repeats of the terrorist bombings. In Spain, the government in power was defeated in the election held after the Madrid bombings and the terrorist attacks ceased. I hold no brief for India’s politicians. Nor do I dispute that they have let our country down. But I think that those of us who long for superhero-style dictators are also letting the country down—they are certainly betraying our democracy, built over so many decades with so much sacrifice. We have a right to expect better of our politicians. We have a right to abuse them. We have a right to pressure them. And we have a right to demand a change. But these are democratic rights. Abandon democracy and we lose our rights. Nor do we necessarily succeed in the battle against terrorism. Take the example of Pakistan where successive military dictatorships have nearly destroyed that nation. All those who think that a strong leader can fight terrorism should learn from the example of Pervez Musharraf who despite having the entire Pakistan army (and the Pentagon as well) behind him was unable to prevent terrorists from nearly killing him twice and taking Pakistan to the brink of chaos. There are no quick fixes in the battle against terror. And there are no Supermen who can solve our problems. Of course, our government can do a better job. And of course our politicians have failed us. But the answer lies in putting pressure on the politicians and in demanding greater accountability. It certainly does not lie in military dictatorship.